While Boston Red Sox fans might be viewing the past few weeks with different colored glasses than the rest of us, the simple truth is that life in North America hasn't been running super smoothly as of late. Horrible storms and natural disasters. Pipe bombs. Mass shootings. An election that can't come fast enough. The list is long, deep, hurtful and politically biased, and the sort of thing that can make one's head want to explode. The good news is that, while life has infinite and impressive ways of testing and challenging, it also has ways of rewarding and regaling us with tales of the human spirit rising up and doing something great. 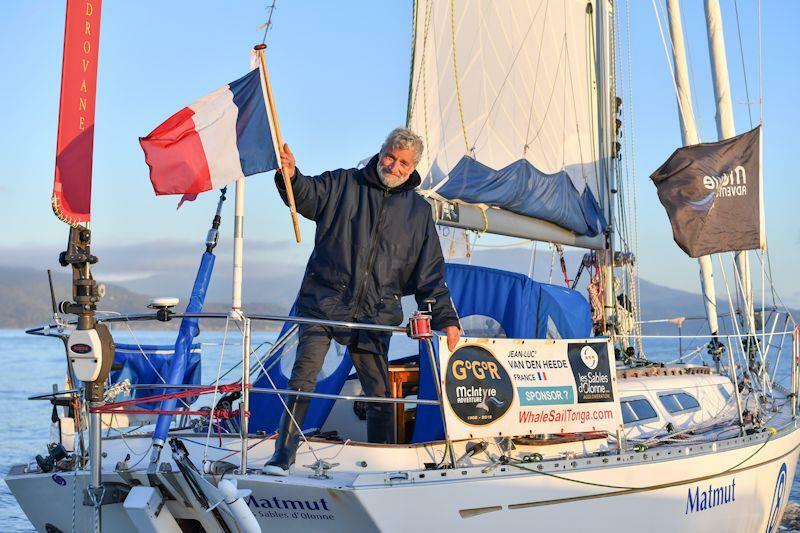 For me at least, Jean-Luc van den Heede (FRA; 73) is just that person, the Golden Globe Race 2018 is his stage, and his almost 2,000 nautical mile leaderboard advantage over sailors half his age is the bit of life's magic that boldly demonstrates that, while life's hurdles are often high, so too are its rewards, especially for those who are lucky enough to be able to follow their dreams. 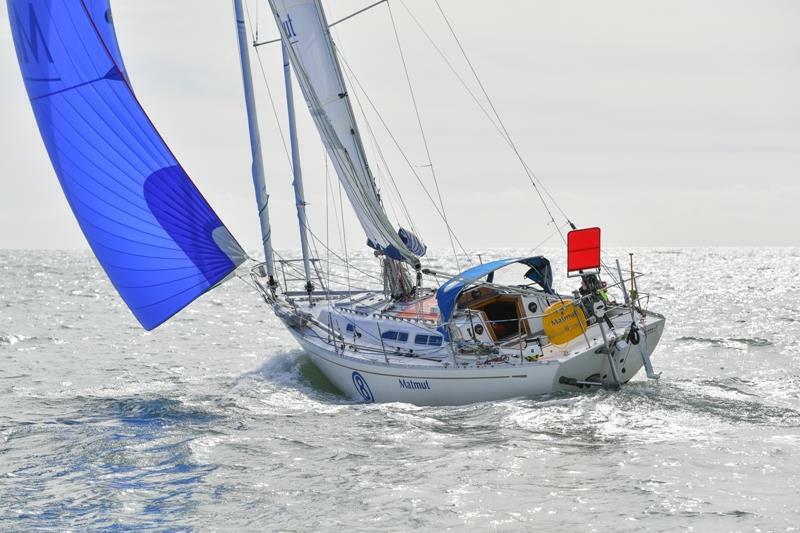 While readers are likely familiar with the singlehanded Golden Globe Race 2018's "retro rules" (older boats, no electronic navigation, zero outside help), van den Heede is likely less well-known on this side of the Pond. A quick visit to Wikipedia reveals that van den Heede, a five-time circumnavigator, first became involved with the solo sailing world in 1977, when he took second place in the Mini Transat, a result that he repeated in 1979. 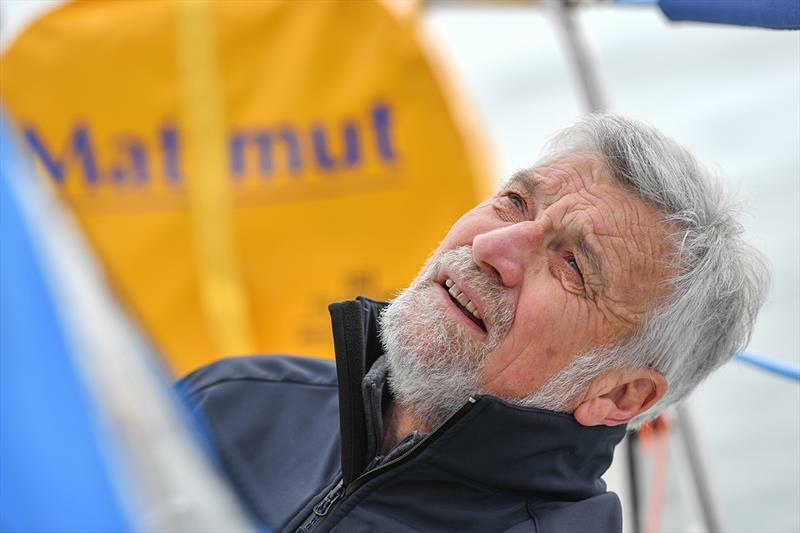 By 1986, van den Heede had turned his attention to the BOC Challenge, and in 1990 he set forth on his first of two Vendee Globe efforts, finishing in third place. The Frenchman was back on the Vendee Globe's starting line in 1993, this time finishing in second place. Other big offshore adventures followed, most notably including a fourth place finish in the 1993 Transat Jacques Vabre, third place in the 1995 BOC Challenge, and second place in the 1998 Route de Rhum. In 2004, van den Heede sailed a westabout circumnavigation in a record-setting 122 days, 14 hours, three minutes and 49 seconds. While this is a hell of a sailing resume by any standard, until now van den Heede has remained largely a proverbial awards-ceremony bridesmaid. 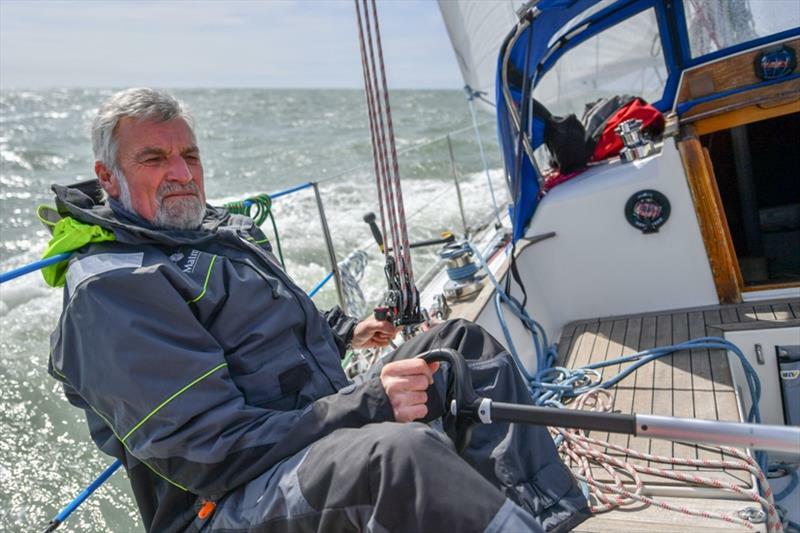 As a journalist, I try hard not to pick favorites, but it's hard not to fall in love with the story of a 73-year old Frenchman just schooling a fleet of considerably younger skippers. And while van den Heede and Matmut, his Rustler 35 masthead sloop, still have some 9,951 nautical miles of sailing left (at the time of this writing), including the bulk of a Pacific crossing, a Cape Horn rounding and then a heady engagement with both the South and North Atlantic Oceans, the fact remains that he currently enjoys the kind of leaderboard advantage not usually seen in modern sailboat races. So while the mainstream news and social-media feeds can feel a bit rough right now, the Golden Globe Race 2018 is presenting itself as a nice antidote to the negativity loop, complete with a feel-good human-interest story about a bridesmaid who will hopefully get to finally throw a bouquet and collect a well-deserved first place. And if this positive tale still doesn't cut through the din of the now-dreadful news cycle in a meaningful way, remember that - at least here in the USA - next Tuesday is Election Day and the first opportunity to generate any meaningful change in the country's big-picture fortunes in two years. And while we certainly don't seek to sway anyone's politics (except to encourage all readers to work to protect the environment and ensure that our oceans and lakes remain clean, wild places in perpetuity), we encourage everyone to get out and vote. Anything less is simply unseamanlike. The biggest and most powerful offshore sailing machines in the world prepare to rise up out of the water as they take to hydrofoils for the 40th anniversary of the singlehanded Route du Rhum transatlantic race. 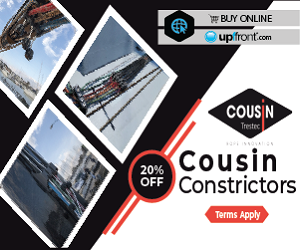 Big Brand P&B Deals: Exciting Offers from Gul! 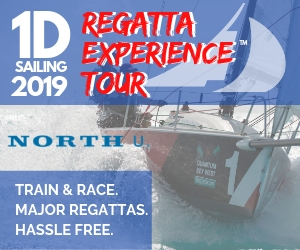 We've teamed up with one of your favourite sailing brands and put together not just one but TWO fantastic offers not to be missed! 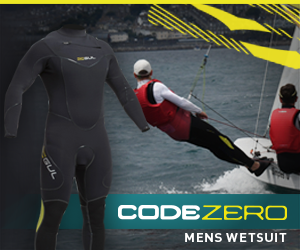 Buy a Code Zero Buoyancy Aid in either blue or black and receive a FREE pair of Code Zero React Sunglasses in Red/ Black. Ever wanted to know what goes in to making one of our Lennon Racewear Long Johns? 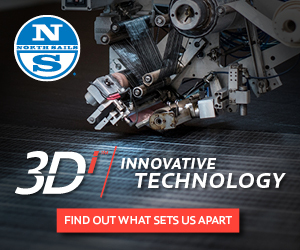 Watch this video which explains how our kit stands out from others. The 2018 Route du Rhum-Destination Guadeloupe fleet consists of a record-breaking entry of 123 sailors, six of which are female with three each racing in the highly-competitive IMOCA and Class40 divisions. It's a marathon, not a sprint. That's the theory that San Diego Yacht Club skipper Tyler Sinks followed during this weekend's twelve intense races that brought his team to win the 2018 Sir Thomas Lipton Challenge Cup for the second year in a row. This month was a particularly important one for our young sailors. With a great celebration at the Youth Olympic Games in Buenos Aires, our young athletes had the opportunity to enjoy their first experience competing in a global multi-sports event. The Cruising Yacht Club of Australia's (CYCA) is pleased to announce 92 yachts have entered the Rolex Sydney Hobart Yacht Race, one of the nation's greatest sporting events - and when the start cannon fires on Boxing Day, 26 December at 1pm local time. One of the more interesting submissions at the World Sailing Annual Conference is a proposal for the RS:X Windsurfer to be replaced with a foiling windsurfer, conceptually known as Windfoilers. It is supported by several nations and classes. INEOS Team UK CEO, Grant Simmer explains: “We decided to build T5 for several reasons; firstly this concept of boat - the AC75 - is an entirely new concept, there hasn't been another boat sailing like this and we wanted to be out there." The World Sailing Team of the Year Award celebrates teams of two or more sailors who personify the sporting values of integrity, ambition, resilience and resourcefulness. Bob Bailey, of Antigua Sailability, attended the 2018 European PDP clinic in Malcesine, Italy and developed ideas to further the development of Para World Sailing in the region and to gain knowledge on how to host a clinic. 130 yachts representing 29 countries, uniting seasoned campaigners, intrepid first timers and those drawn back to Malta after decade long absences. Motivation charged by the prospect of being part of a unique edition of the race. The British contingent in Class40s is powerful with four skippers in the class led by the experienced Phil Sharp and Sam Goodchild who should be in contention to win this huge division of 53 boats. 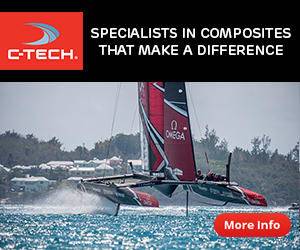 A second America's Cup team have launched a Surrogate AC75 - this one appears to be closer to the maximum length allowed. The New York Yacht Club's team American Magic have posted images of the new boat being launched. It's been a very even yet exciting Western & Orient Snipe Class Championship 2018, this morning in Buenos Aires, before the two last races were sailed, there were five teams that could mathematically win the event. Seen a lot of water. Been to a lot of places. Today, Brisbane pretty much offered the classic mix of sun, and just enough wind for the last two races of the 2018 Etchells World Championship. James Island Yacht Club (Charleston, SC) will host the 2019 North American Championships June 14 - 16, 2019. The Caribbean Multihull Challenge 2019: Celebrate the difference! 50th Anniversary Rolex Middle Sea Race action-shots. Captain Liz Clark says 3Di cruising sails are one of eight things you need to sail around the world; "they have been a game-changer for me." At a time when sailing is reported by many to be in decline, the Finn class is continuing to expand. It provides a level of performance, accessibility and ambition that is hugely attractive across the age range and across many nations. 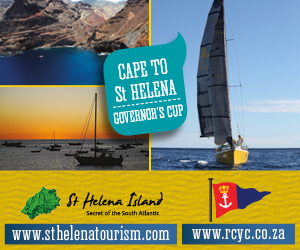 Organized between the Royal Yacht Squadron, New York Yacht Club, Royal Ocean Racing Club and Storm Trysail Club, the origins of the Transatlantic Race 2019 date back more than a century and a half. One of the favourites in the huge 53-strong Class40 fleet for the 3,542-mile marathon from Saint-Malo in Brittany to Pointe-à-Pitre in Guadeloupe, Goodchild is sponsored by the Netflix mini-series Narcos Mexico which is shortly to be released in France. The 2019 Atlantic Ocean Racing Series will consist of five races: RORC Caribbean 600, Antigua Bermuda Race, Transatlantic Race 2019, Rolex Fastnet Race, and Rolex Middle Sea Race. 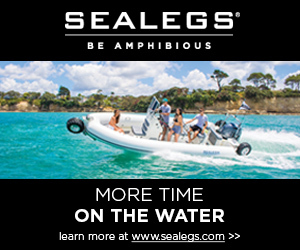 How do you design a cruising boat that's fast enough to get your competitive juices flowing, but without scaring the family? That's been the challenge for Alex Vrolijk, who has drawn the lines for the radical - but not too radical - 39BEN. Andersen Interviewed: Financial concerns just "click media"
For the third year in a row, the innovative Australian apparel brand Zhik is up for a DAME Award at METS 2018, with its new line of ECO Wetsuits. 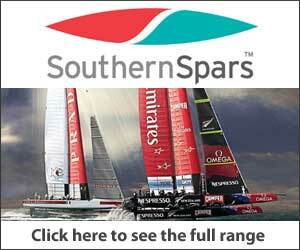 British skipper Alex Thomson and his crew have officially broken the 24 hour distance record for a 60ft Monohull. At 1100 CEST, the winner of the 50th anniversary Rolex Middle Sea Race was announced as Géry Trentesaux's Courrier Recommandé. World Sailing is pleased to announce that Atlantic Cup, Corpus Christi Yacht Club, The Green Blue and Project Litefoot have been shortlisted for the World Sailing 11th Hour Racing Sustainability Award. The Melges 14 Class Association takes another leap forward with the announcement that the Class will join the Melges World League (MWL), the global racing platform and ranking system for Melges owners around the world. It's time! Time to deliver the MACIF trimaran from the south of Brittany to the north of Brittany. Time to set sail for the magnificent surroundings of a route du Rhum that looks as though it will be epic and exciting. Much of the discussion on the Olympic Sailing rialto since the Rio Olympics has centred around the angle of a couple of phrases attributed to the International Olympic Committee. The first was "Change or be Changed". The second was "Gender Equity". The Australian 5.5m Association and the Royal Prince Alfred Yacht Club are delighted that Pittwater has been selected as the venue for the 5.5m Gold Cup and Worlds in January 2020. Anne Coulombe of the Boston Yacht Club in Marblehead and Richard Hinterholler of the Royal Nova Scotia Yacht Squadron will return as Race Directors. Rear Commodore David Bows of the BYC and Michael Simms of the RNSYS will co-chair next year's event.